This entry was posted on April 14, 2019 by tsdp. 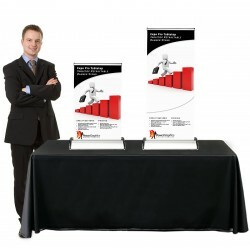 Have you ever hosted an event to exhibit your products and failed to meet your marketing goals? 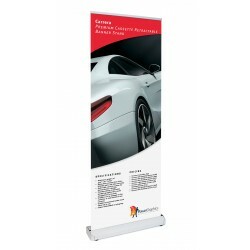 Driving customers to your exhibition stand is not an easy task; it’s a task that requires you be creative; it’s a task that requires you communicate smartly and be aware of the latest technology for trade show marketing. If your return on investment for trade show exhibitions is going down, it’s time to create a better experience, engage with your attendees, and deliver value by adopting the right marketing strategy. 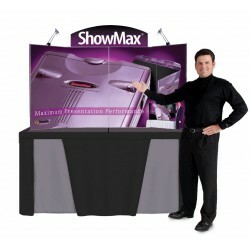 Fill in the gaps with the help of our successful trade show tips and ensure the highest ROI possible. 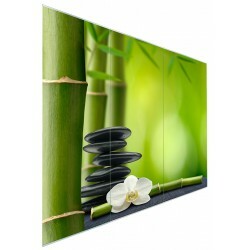 A booth that is eye-catching is sure to win the hearts of customers. 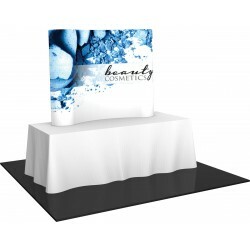 Use the most popular booth design with attractive trade show banners and fabric trade show displays to showcase your products and services. 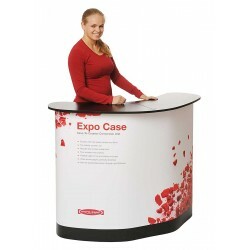 Secure the best booth location to solidify your presence for potential engagement among ideal customers. Research the general layout of the trade show floor to identify the major traffic areas. Reserve your trade show exhibit space and set up your booth in the prime location where the most people will pass through. 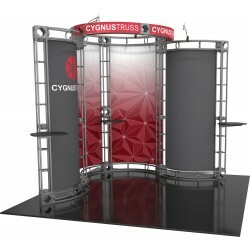 Depending on your exhibition goals, display needs, and budget, choose any one type of exhibit space: peninsula booths, end-cap booths, inline aisle booths, and island booths. 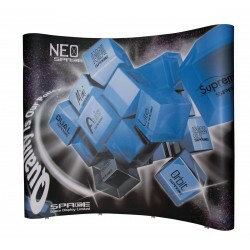 Add creative and engaging exhibition designs to attract visitors to your brand. 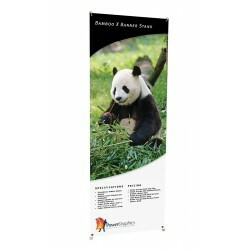 Use a smart blend of brand colors on your trade show banners to ensure all eyes are on them at the show. Black and blue colors are associated with lifestyle and fashion brands, whereas orange, yellow, and red are associated with the food and beverage industry. 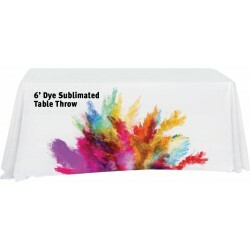 Choose colors that help your audience associate with your booth design and your products. 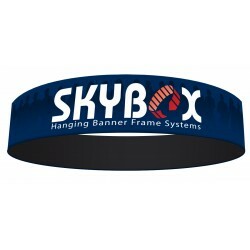 Highlight your brand name by using designer logos on all the displays at the trade show booth; doing this can subtly imprint on customers’ minds. With over 200 million U.S. users on Twitter and Facebook, social media plays a major role in improving the relationship between customers and prospects. Integrate social media marketing strategies to create anticipation before and during an event. Stay active on Facebook, Twitter, and Instagram while exhibiting your products at the trade show to garner attention for your booth. Use Twitter hashtags, YouTube videos, and Facebook events to promote your products online. Post videos and images of your exhibits and broadcast live on social media to share interesting things happening at your booth. Event hashtags and booth numbers act as a quick reference for offline audiences. You can encourage your followers to share something about your brand on social media and reward them accordingly, preferably with a gift that’s related to your brand. Use platforms to announce online contests, voting polls, and special appearances, and giveaways to create excitement, draw in customer attention, and improve communication. Wearable technology, virtual reality, social media walls, gesture control, and digital swag bags enable real time responses from the public. 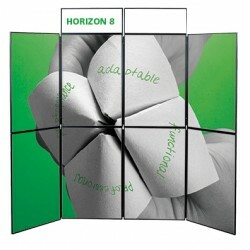 Adapt to these technologies andengage with your trade show attendees. Emerging wearables such as Google Glass and Apple smartwatches can help send GPS locations, make e-transactions, conduct audience polls, and receive live responses. Investing in virtual reality offers a multi-sensory experience to drive foot traffic. Instead of passive consumption of video, a virtual reality demo can offer a better representation of your products and services. A beautiful, live social display wall helps maximize audience integration and generates a buzz on the trade show floor; these help to project your favorite posts using hashtags on big screens. Gesture recognition technology piques the interest of the crowd—it helps control your presentations from any distance without the use of a mouse or other device. 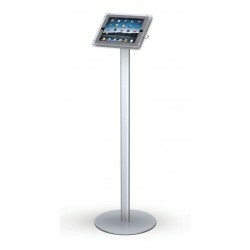 The touch-free interactivity can reinforce a high-tech brand image among your competitors. Instead of age-old goodie bags, give your audience a digital take away, such as online gift tokens or coupons. Next time make use of these tips while organizing your trade show booth, for these are sure to boost brand awareness, drive customer engagement, and amplify ROI. 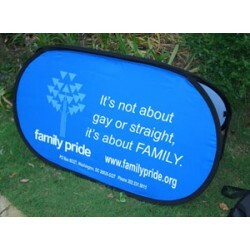 The Space Lite is one of the least expensive, yet most stable, portable banner stand models available. 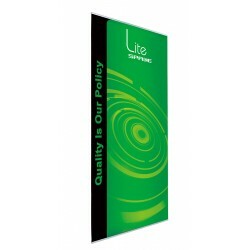 The Space Lite 39 displays a graphic with a visual area of 39.375" wide x 63" to 84.6" high.